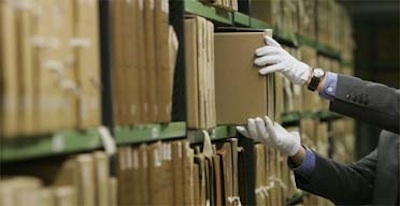 A further look at the archives of government papers, mostly from the year 1982, which were released ahead of the New Year period in Dublin, London and Belfast. Previously classified British government files released under the ‘30-year rule’ by the Public Record Office in Belfast have shed further light on behind-the-scenes discussions during the 1981 hunger strike. One of the 1982 files discussing the Long Kesh hunger strike of 1981 is one which shows how the two Catholic chaplains at the prison persuaded the British government not to return two ex-hunger strikers to the prison hospital. The prisoners in question were Pat McGeown and Paddy Quinn whose families had intervened to seek medical treatment to save their lives in late July/August 1981. Quinn ended his 47-day fast on July 31 while McGeown’s family intervened on August 20 - after 42 days without food. On September 21 1981, the two Catholic chaplains at the prison, Fr Tom Toner and Fr John J Murphy, contacted British officials to express their concern at an apparent move to return the two men to the prison hospital - the epicentre of the ongoing hunger strike. Backed by Cardinal Tomas O Fiaich, the churchmen expressed the fear that at least one of the men might resume the protest. In a note on the file, an official captured Fr Toner’s view that while Quinn might stand up to the pressures [of a return to the prison hospital], McGeown “was a wee frightened individual” who might either suffer a nervous breakdown or return to hunger striking within days. In a memo for the British Direct Ruler Jim Prior, one government official warned that the objectives and concerns of the two priests did not “wholly” coincide with theirs. * At the height of the hunger strike, a visit by Britain’s leading Catholic nobleman, the ‘Duke of Norfolk’, to Long Kesh at the height of the 1981 Hunger Strike provoked a major rebuke from the two chaplains. The duke’s visit took place on July 22 when he was accompanied by a junior British minister, and involved a claim to relatives of [Kieran] Doherty and others that the protest had been deemed “sinful” by the Catholic hierarchy. No sooner had the duke left the prison than he received a sharp rebuke from the chaplains, who complained that they had not been consulted. They told the duke by letter: “As Chaplains responsible for the pastoral care of the prisoners, we resent the implications for us of a moral judgment which you passed and which you described as the teaching of the Church. “Your attitude and views caused unnecessary hardship for a family already bewildered and distressed by the imminent death of their son. * Murdered Belfast defence lawyer Pat Finucane featured in the inquests into the deaths of the hunger strikers, according to the papers. The late Mr Finucane appeared in the cases of Bobby Sands, Patsy O’Hara, Joe McDonnell, Kieran Doherty and Mickey Devine, the last hunger striker to die. In all 10 cases the jury returned a verdict of ‘death by starvation - self-imposed’. During the hearings, a British official wrote that Mr Finucane “attempted to introduce at every opportunity the reasons for why the deceased had embarked on their fast but the coroner had pointed out forcibly that this was no concern of the inquest. “The jury were required to establish how, when and where the hunger strikers died and not why,” the official said. One point of interest mentioned by Mr Finucane was that a photograph of Patsy O’Hara’s body clearly showed extensive marks on the bridge of his nose. He later accepted the evidence of an RUC sergeant who stated that there had been no marks on O’Hara’s body when he handed it over to an undertaker in Omagh. * Former British prime minister Margaret Thatcher received a telegram in support of the hunger strikers from the Hollywood actress Jane Fonda. * The extradition across the border of INLA (Irish National Liberation Army) leader Dominic McGlinchey in 1982 would make gardai and judges in the 26 Counties targets of attacks by armed republican groups, the Dublin government was told. Martin Mansergh, an adviser to Charles Haughey in December that year, claimed the loosening of laws following the landmark ruling would spark attacks by the IRA and the INLA in the South. In a memo to the then Taoiseach, he said that opening up extradition would damage peace efforts. * Ian Paisley’s DUP was prepared to endorse a meaningful role for nationalists at Stormont as early as 1982. Sammy Wilson gave a confidential briefing on party thinking to British officials. “The question was not whether concessions should be made to the minority but when and how much,” a file on the meeting said. According to Mr Wilson, DUP leaders at that time were considering establishing a small cabinet in charge of strategic issues drawn solely from the unionist community. This would sit above departmental committees which would continue to be drawn proportionately from all parties represented in the assembly and would be responsible for day-to-day running of departments. “This arrangement would enable unionists to say that there was no power-sharing in the cabinet while at the same time allowing nationalists a meaningful role,” the note of the lunch meeting said. * Trade with Libya was more important than any concerns about potential IRA links with Colonel Muammar Gaddafi’s regime, documents held by the Dublin government reveal. Officials across several departments working to tie up annual bilateral meetings were told that economic matters were top of the agenda. State papers from 1982 reveal that the declaration was made despite US embassy staff in Dublin telling Irish counterparts that Gaddafi had contacts with the Provisional IRA. Jim Kirby, Department of Justice, reported to the taoiseach’s office that there were no IRA/Gaddafi links in August 1982. George Harris of the State Department Bureau of Intelligence and Research told Irish diplomats Gaddafi’s regime had no contact with the IRA at the time in 1981. * The 26-County government of 1936 was warned not to make martyrs out of Irishmen and women who fought and died in the Spanish civil war, state papers show. Ministers were urged to turn a blind eye to the fact that hundreds of men and women were volunteering to fight both for and against General Francisco Franco and the fascists. In an undated memo for a minister but contained in a file of papers from 1936, advisors said that news of the reality of war would soon act as the biggest deterrent for others to enlist. “The first casualty list from Spain will probably prove to be an effective check to recruiting and there is some thing to be said for anticipating the announcement of casualties by an official statement to the effect that the government can take no responsibility for any of its citizens who choose to participate in the civil war in Spain,” it said. A separate but attached document from the 1936 file acts like a roll call of the men and women who left Ireland to fight in the war and includes ages, addresses and other detail. Between 1936 and 1939 more than 35,000 men and women, from more than 50 countries, volunteered for the republican forces. Hundreds of Irish republicans and socialists joined the international brigade to fight for the republic -- but an even greater number joined Franco’s Catholic crusade. The memo called on the 26-County government to make Ireland the last to ban volunteer fighters because “large sections of the Catholic population consider that Franco is engaged in a ‘holy’ war”. * Ronald Reagan issued a last-ditch appeal to Margaret Thatcher to abandon her campaign to bloodily retake the Malvinas Islands from Argentina and to hand over the ‘Falklands’ to international peacekeeper. Files released by the National Archives in London show that as British troops closed in on final victory, the US president made a late-night phone call to Thatcher urging her not to ‘humiliate’ the Argentines. However, his request fell on deaf ears as a defiant prime minister insisted that she had not sent a British task force across the globe just “to hand over the Queen’s islands to a contact group”.